The Just ASK 2019 Closing of School Checklist is now available! The most recent issue titled “eVALU(E)ation & superVISION” is now available. In this issue, Marcia discusses various types of walk-throughs and observations and urges you to consider using the classroom walk-through as a tool to inform your professional learning community (PLC). She explores Professional Standards for Educational Leaders Standard 6: Professional Capacity of School Personnel and offers tips and tools as you ramp up and close out your evaluation process with value and vision that embraces a culture of classroom walk-throughs. Do not miss the April Mentoring Memo if you want suggestions about the bests ways to support new teachers this month; you will also find three powerful tools you can use to facilitate discussions and help novice teachers stay focused on engaging students in rigorous and relevant learning experiences. The most recent issue of Making the Standard’s Come Alive! titled “Becoming More Mindful” is now available. Be sure to read the whys and hows of becoming more mindful that Heather explains in this issue. 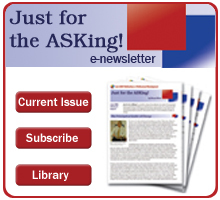 The April issue of Just for the ASKing! (JFTA!) features The Just ASK 2019 Closing of School Checklist. Don’t miss all our absolutely free online tools and templates designed to support your use of seven of our best selling books! 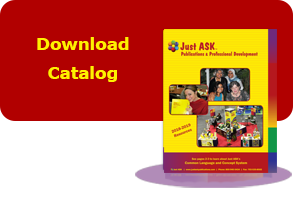 Just ASK uses a common language and concept system to provide a systemic approach to teaching, learning, and leading in the 21st century. Thousands of educators across the country are using our publications and products, attending our institutes, and participating in our onsite workshops. Their application of their learning has led to more students learning more, more of the time!